Following the battery problems and worldwide recall of the Note 7 last year, Samsung's planning to issue a final software update that will disable remaining Note 7 phones from charging at all. Most of the potentially defective smartphones have been collected by now, so this is for the small percentage (reportedly about 3% of sold units weren’t returned) of holdouts have refused to give up their precious devices. Along with the news about the update Samsung has now revealed what will happen with all the returned phones. 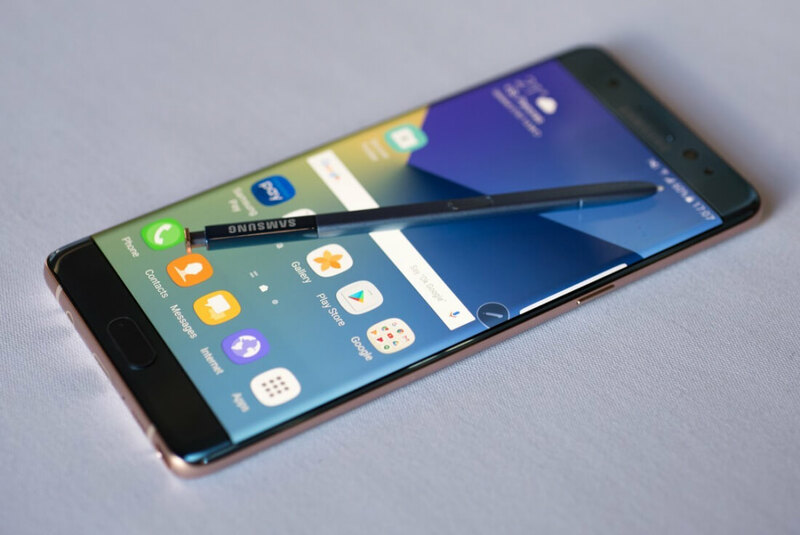 Although the company had previously said it would dispose of the Note 7 and had no plans to repair or refurbish them, it seems that’s partly what they’re going to do. The move comes in response to Greenpeace protestors who interrupted the company’s Mobile World Congress keynote last month, as well as online petitions demanding to know what the company will do with the 4.3 million recalled devices. Samsung says it has "established three principles" to make sure the Note 7 is "recycled and processed in an environmentally-friendly manner". The first principle is to sell them as refurbished devices or use them for rental. However, for this to happen Samsung first needs to clear the refurbished phones with regulators and mobile phone companies, and presumably they would include smaller batteries to play it safe. If the phones can't be reused, then Samsung will remove parts that can be put into other devices and reused elsewhere, including using semiconductors and camera modules for "test sample production.” Finally, Samsung says it will extract metals such as copper, nickel, gold and silver by utilizing eco-friendly companies specializing in such processes. Update: Samsung won't be selling refurbished Note 7s in the United States.